April 27, 2018 by Beeraj Patel, Esq. Obtaining a visa is without a doubt the most important requirement for a non-resident to be granted the ability to live and work in a foreign country. They allow foreign residents to enter, reside in, and leave the country that they hope to move to, usually for a mandated period of time. There are many reasons that someone would want to pursue obtaining a visa. One category of people who are often in need of one are students who wish to study at a university in a foreign nation. For others, they may desire a visa to participate in a cultural exchange program where they live with a host-family for a certain time period. These two visas are the F1 student visa and the J1 cultural exchange visa. The F1 visa and the J1 visa both have their similarities and differences, and each are discussed below. An F1 visa is a specific visa for foreign students. The primary requirement stipulates that they they be enrolled either an academic program in the United States or an English Language Program at a United States college or university. The F1 visa only allows full time students to stay for the duration of the academic program and requires that they must maintain strong ties to their home country so that they can return. If they are disobedient of laws or dismissive of their home country they will otherwise be declined from the start. Admission depends primarily on the evaluation of the university that is enrolling the student but there are also several other requirements a student must meet in order to obtain an F1 visa. One requirement is that they must have enough money to support themselves during the duration of their stay in the foreign country. It is also highly recommended that they already have healthcare coverage. They also need to fill out an I-20 Form, an application fee, a DS-160 Form, and a DS-157 Form if they are a male that is between 16 and 45 years old. Carrying a valid passport and a recent photocopy of themselves is also a crucial requirement for entering a foreign country. 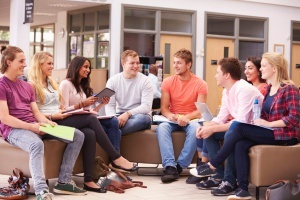 Once they have completed all forms and gathered the necessary materials, the foreign student must undergo an interview to determine whether or not they are qualified to enter the United States.The interview consists of questions that investigate whether or not the student has strong ties to their home country and plans on promptly returning once they have completed their education in the US. The interviewer also wants to learn if the visa applicant has proof that they can support themselves financially. If they are approved, they will need to pay a visa issuance fee, give their fingerprints, and have their passport taken for verification. Once everything checks out and they are approved, they will be given their visa. A J1 visa is a non-immigrant visa that is required for participation in a cultural exchange program between the United States and a foreign country. It is mainly issued to qualified scholars, professors, and students. Some examples of a few programs offered are programs where the foreign resident acquires a job and pays a host family rent, or a study abroad program at a university. Though the many requirements for obtaining a J1 Visa may seem overwhelming, most who apply have little trouble with the process and stay positive and excited about the opportunities they have in the US throughout the application process. Those who apply already have a good understanding of English, have adequate health insurance, and have been selected for sponsorship by a university, private organization, or government program. The sponsor will screen the applicant to see if they are qualified according to the sponsor’s standards. Once they have a sponsor, they are allowed to fill out a DS-2019 form, which requires a short description of the sponsor chosen. 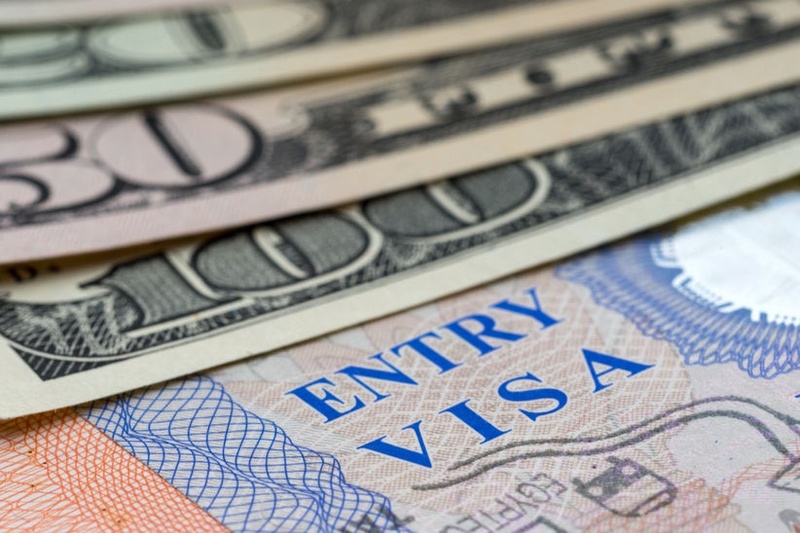 This includes the program’s start and end date, an estimated cost of the program, the exchange category, and the necessary application fees in order to obtain the visa, such as the SEVIS I-901 fee and the Nonimmigrant Visa Application Processing fee. An interview with a consular officer from a US Embassy or consulate then follows. For the interview, the foreigner needs to bring in a valid passport that will last six months after the intended period of stay, the DS-2019 Form, a DS-7002 Form for visitor trainees and intern visa applicants, a DS-160 Form, and a 2×2 photograph of themselves. The interview questions will address the applicant’s purpose for coming to the US, their intentions after their stay, how they will cover their expenses, among other general questions. Once they pass the interview and are approved, they are finally issued the J1 visa. Both visas are intended for students and scholars. Both promote the cultural exchange of education or work and are attached to certain program requirements and documentation. Both require the foreigner to be financially stable, have a valid passport, have a photograph of themselves, and have adequate health care. Both application processes involve undergoing interviews and providing different types of documentation to obtain a F1 or J1 visa. However, there are are also several differences between the two. One example is that the F1 visa is strictly for students, while a J1 visa is available for both students and non-students. Non students can include those who have obtained doctorates and desire working at a university as either a professor or staff. Others wish to join the American workforce in a non-academic role. Examples of these types of people with J1 visas are au pairs or those enrolled in a summer work travel program. Another key difference is that F1 visas do not require the student to be proficient in English, while the J1 visa requires the applicant have solid skills in speaking English and understanding the language. The application forms and required documentation also slightly differ. However, aside from their differences, both function the same in allowing a foreign alien to enter the United States and enjoy an extended stay. If you need to obtain a J1 or F1 visa, it is highly recommended that you contact a reputable immigration attorney to help you get started. Immigration attorneys have years of experience in United States immigration law and can smoothly guide you through the legal process of obtaining one of these visas. They will also help with any legal repercussions that might ensue if any violations in regards to the visa are committed. They also make themselves available to deal with any other legal matters that relate to immigration when a non-US resident begins the process of adjusting to life in the U.S. i If you or a foreign friend or family member is in need of any help concerning obtaining a visa or with general U.S. immigration law, consulting a reputable, qualified immigration attorney will help you enormously.